Disney Cruise Line dining is sure to satisfy the appetites of your entire family-thanks to fresh, expertly prepared dishes made available 24 hours a day. Featuring diverse menus inspired by some of the world's most intriguing destinations, and restaurants that are distinctly themed and brimming with charm, it's the finest dining at sea. Disney's innovative Rotational Dining system lets you "rotate" to one of 3 distinctly themed restaurants each night, while your servers follow you from venue to venue. Casual Dining - convenient casual dining features an enticing spread of freshly prepared, delicious food items for every family member's tastes. Enjoy breakfast, lunch or dinner-including self-service food items and made-to-order delicacies-in an air-conditioned setting or on deck side. Quick Service - satisfy those between-meal cravings with a variety of well-balanced and delicious offerings throughout the day, be it morning, noon or night. In-Room Dining - order room service 24 hours a day for breakfast, lunch, dinner and snacks. Note: Be sure to let us know your preferred seating time and table size when you make your reservation. Disney Cruise Line will do their best to accommodate you. If for some reason you don't get the time/table that you prefer, check your navigator when you arrive. There will be a time/place where you can inquire about changes. It's requested that tank tops, shorts or swimwear not be worn in the restaurants. Feast your eyes on an astonishing dinner show celebrating Disney storytelling at Animator’s Palate, set your taste buds aflame on American and French fare at Lumiere’s, and dine in a regal ballroom while being entertained by the Sunggly Duckling Thugs at Rapunzel's Royal Table. Stroll along a boardwalk-themed buffet of made-to-order favorites for lunch and dinner at Cabanas, sink your paws into burgers, tacos and hot dogs at Pete’s Boiler Bites, and come alive with a cheesy pie at Pinocchio’s Pizza. You can even grab a quick between-meal snack or satisfy a late-night craving in the comfort of your room with complimentary, 24-hour in-room dining. Amid fanciful restaurants, savor gourmet dining, bountiful buffets and casual bites—all with a dash of Disney enchantment. And with Disney’s one-of-a kind Rotational Dining, you’ll “rotate” to one of 3 different dining locations boasting a unique menu each night of your cruise, accompanied by servers who know your every taste. Be drawn into an innovative dinner show starring a host of Characters at Animator’s Palate, dine “under the sea” on mouthwatering American and French fare at Triton’s and savor a rousing celebration of southern cooking and live jazz music at Tiana’s Place. Dive into endless waves of fresh food favorites at Cabanas, get your tail wagging with salads, sandwiches and wraps at Daisy’s de-Lites and come alive with a cheesy pie at Pinocchio’s Pizza. You can even grab a quick between-meal snack or satisfy a late-night craving in the comfort of your room with convenient in-room dining. Hungry for something different? Feast on gourmet delights and casual fare at magically themed restaurants. And with Disney’s one-of-a kind Rotational Dining, you’ll “rotate” to one of 3 different restaurants with a unique menu each night of your cruise, accompanied by servers who cater to your every taste. Be drawn into a “state-of-the-art” dinner show at Animator’s Palate, dine like a king or a queen in a classic Disney fairytale at Royal Palace, and savor an arboretum of appetizing delights in a serene conservatory setting at Enchanted Garden. Stroll a breezy boardwalk of fresh food favorites for breakfast, lunch and dinner at Cabanas, make a pit stop for burgers, chicken, pizza and salads at Flo’s Café, or chill out with a frozen fruit smoothie or ice-cream at Frozone Treats and Eye Scream. You can even grab a quick between-meal snack or satisfy a late-night craving in the comfort of your room with complimentary, 24-hour in-room dining. Looking for a romantic, adults-only evening out? Dine on Northern Italian delicacies with a modern twist at Palo, where Italian-inspired décor and live music mingle with stunning sea views; or indulge in a French-inspired menu of superior seasonal ingredients at Remy—the most luxurious dining experience onboard. Savor distinctive choices onboard—from menus inspired by romantic destinations to restaurants with magical themes. With Disney’s Rotational Dining, you’ll “rotate” to one of 3 different restaurants with a unique menu each night of your cruise, but your servers—who know your every taste—remain with you. Explore a boardwalk of fresh food favorites at Cabanas, eat a quick lunch at Flo’s Café, then grab a sweet snack at Eye Scream and Frozone Treats. You can even satisfy a midnight craving with complimentary, 24-hour in-room dining. For romance at sea, the Disney Fantasy serves up stunning sunsets. Choose Palo—Northern Italian cuisine with a piano serenade, or Remy—intimate, French, with a dedicated wine room. Date night has never been so fun! Dress Code: Changes nightly, check stateroom newsletter for information. Be drawn into a spacious yet stylized dining room that recalls a real-life, hand-drawn environment in black and white. Animator’s Palate boasts a fantastic architectural design, where proportions bend and slant suddenly and sketches showcasing characters and scenes from Disney and Disney·Pixar films adorn the walls around you. Behold the evolution of animation—from pencil test to ink-and-paint. Follow a hero's storytelling journey through Disney and Pixar animation, where wishing upon a star paves the way for happily-ever-after. In an emotional finale, the black-and-white interior of the restaurant is transformed with splashes of vibrant color. Join Sorcerer Mickey as he leads the fun! Try your hand at drawing your very own character—and then watch in wonder as your creation becomes part of the show, dancing alongside some classic Disney characters. You won't believe your eyes! Cabanas is a novel, free-flowing buffet experience serving made-to-order mouthwatering specialties. During breakfast and lunch, wander the "boardwalk"—home to over 10 diverse food stations—and partake in an eclectic menu of freshly prepared, culinary classics. At dinnertime, the restaurant is transformed into a table-service dining experience where entrees are cooked to order in the show kitchen. If you’re looking to “hang ten” and enjoy dinner under the stars while basking in the night breezes—or perhaps you simply prefer a more subdued setting inside the restaurant with an ocean view—you’re invited to dine at Cabanas in place of your scheduled Main Dining restaurant. Bedecked in linen tablecloths and napkins, dinner at Cabanas features signature dishes from the Main Dining restaurants plus a menu of exclusive lip-smacking delicacies over a tantalizing 4-course meal. For an additional fee, cocktails and specialty drinks can be ordered from the full-service Clam Bar. With an almost endless array of classic American breakfast fare, Cabanas is the perfect start to the new day. Feast on made-to-order omelets, scrambled eggs, sausages, hash browns, Mickey-shaped waffles, muffins, fruit, cereal and more. Hot beverages like cappuccino, espresso and café latte only make the morning brighter. Featuring a bountiful variety of contemporary favorites, lunch at Cabanas includes salads, soups, burgers, sandwiches, steak, chicken, seafood and pizza. For a sweet ending, treat your taste buds to a selection of delectable desserts like sundaes, cookies, cakes and fruit. Vegetarian dishes and a selection of classic children’s food favorites are available for breakfast, lunch and dinner at Cabanas. Dine in a serene splendor that recalls an elegant conservatory amid the foothills in France. The restaurant is home to custom-glass flower lights, white trellises, ornamental posts and—at the center—a delightful 7-foot tall cascading fountain featuring a fanciful stone cherub Mickey Mouse. Along the walls, frescoes of rolling hills mingling with lush greenery amid a magnificent blue sky add to the idyllic ambience. Dining at Enchanted Garden means you can expect something magical to happen. During the course of your dinner, the restaurant's sweeping ceiling changes from a brilliant blue daytime color into the golden red of a setting sun, transforming finally into a captivating nighttime constellation of twinkling stars. Additionally, flower light fixtures "bloom" and become bathed in color, decorative wall sconces fall away to become folding fans, wall paintings project a dusky illumination and the centerpiece fountain is flooded with shimmering light. Relive the magic of Beauty and the Beast at this restaurant named after the scheming candelabra from the hit movie. Make your way into a spacious ballroom, where grand glowing roses hang in wondrous glass domes and golden Art Deco columns mingle with a sweeping mural depicting the classic ballroom sequence from the hit Disney film. Inside, you are invited to fall in love with freshly prepared and artfully presented French and American cuisine, as you celebrate one of the greatest romances of all time: the love of Beauty and the Beast. Rapunzel's Royal Table has replaced Carioca's! Step into the ballroom of the royal castle and join in the joyful celebration of Rapunzel's birthday. Guests will be entertained by a joyous band of musicians, the mischievous Snuggly Duckly Thugs, and Princess Rapunzel herself! The menu includes fun references to Tangled, including Maximus Salad, Flynn Rider Platter, and Gothel Blackforest Tower. The meal includes special activities and ends with a festive parade. Dining inside Royal Court places you and your family in the heart of a lavish Disney fairytale. It should come as no surprise that much of the restaurant's wondrous design is modeled after classic Disney animated films, including Cinderella, Snow White and the Seven Dwarfs, Sleeping Beauty and Beauty and the Beast. Inside Royal Court, resplendent décor includes custom lighting fixtures modeled after Cinderella’s coach, handcrafted mosaic tile murals of the Disney princesses with their princes, plus ornate details and furnishings that incorporate iconic symbols, like glass slippers, apples, roses and tiaras. Chandeliers, chair backs and marble-cased columns fashioned after those seen in Disney’s Beauty and the Beast add to the enchanted ambience, while neighboring wall sconces, throne-style chairs and the inviting circular floor plan have been recreated from Disney’s Cinderella. Dining at Royal Palace places you and your family in the center of a classic Disney fairytale. In fact, much of the restaurant's wondrous design is modeled after classic Disney films, including Cinderella, Snow White and the Seven Dwarfs, Sleeping Beauty and Beauty and the Beast. Resplendent décor includes ornate marble floors, a luxurious rose carpet and an elaborate chandelier brimming with glass slippers and roses, along with hand-painted portraits of Disney princesses—Aurora, Cinderella, Snow White and Belle—on the walls. A marble entryway inlaid with a royal crest featuring a pumpkin coach, glass slipper, rose and tiara, plus lavish chair backs embellished with gilded emblems and tiara-topped porthole valances demonstrate the attention to detail Disney is known for. Adding to the magic, the circular floor plan, fluted columns and iron railings that grace the restaurant are all faithfully recreated from the ballroom scene in the Disney animated movie, Cinderella. Step into a festive and brightly lit restaurant, where toe-tapping live jazz and iconic storytelling keep the party going nightly. Make a pass at Tiana's Place and travel back in time to a festive New Orleans-style family gala—complete with live Dixieland music—that brings the iconic elements of the popular Disney animated movie to life. Once inside, you and your family are transported to an era of genteel southern charm, where joyous street party celebrations were all the rage. Adding to the magic, special touches from the movie like family photos, water-lily-shaped candleholders and more help convey the timeless tale of Tiana’s journey from waitress to frog to princess to proud restaurant owner. Be immersed in the underwater kingdom of The Little Mermaid inside this elegant restaurant named after her father. Make your way past a fanciful bronze statue of Ariel and journey inside a grand ballroom that recalls the opulent sea palace of King Triton bedecked in a dazzling Art Deco theme. Brimming with ornate chandeliers, stained glass, sea-inspired architectural flourishes and a sweeping mural of Ariel and her father, Triton's serves up a regal atmosphere that Guests of all ages are sure to admire. Named after the signature long poles used by gondoliers in Venice, Palo serves an adult-exclusive restaurant serving Italian fare in an intimate setting amid stunning seaside views. Fine Italian cookery begins with artfully prepared antipasti, soft potato gnocchi piennolo in tomato sauce with kale, fritto di calamari e gamba marinara or sip on a steaming stew of seafood favorites scented with basil and garlic. Continue with a plate of classic pasta such as penne arrabbiata. For your main course, be transported to the heart of Italy as you pamper your palate with freshly prepared specialties that include butternut agnolotti, seared sea scallops on celery root puree – or entice your taste buds with a house favorite: piquant dover sole (fileted table side), garnished with nut brown butter garnished with chopped capers. At Palo, incomparable Italian dining and impeccable service sure to exceed your expectations are always on the menu. True to form, there’s an abundance of fine European wines and Italian-American-inspired cocktails like the Bellini and the Italian surfer—and cappuccino, espresso, lattes and café mochas. For a sweet ending, discover a culinary confection of freshly made desserts including homemade tiramisù, panna cotta or our house favorite: chocolate soufflé with vanilla bean and chocolate sauce. Enhance your dining experience for an additional fee with a collection of wines strategically paired with delectable Italian dishes from the Palo menu. "Esperienza del Vino" features a selection of 5 recommended Palo dishes—including dessert—matched with the perfect Italian wines. Palo continues its commitment to fine Italian cuisine during brunch, offering a tasty medley of hearty favorites. Brunch is served while the ship is out at sea during 4-night and longer cruises. 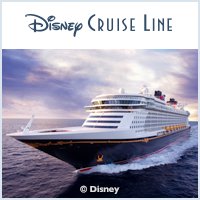 Check your Personal Navigator—the Disney Cruise Line daily newsletter detailing all there is to see and do—or the Disney Cruise Line Navigator app for specific dates and times of Palo brunch while onboard. Reservations are required and can be made online or onboard the ship. When dining at Palo, Guests will skip the regularly scheduled, rotational Main Dining restaurant. This premium dining experience is available at a fee and is not included in the price of your cruise. You're now invited to make 2 dinner reservations at Palo during your cruise, as long as one of your reservations is on the first night of your cruise. Reservations are subject to availability and a specialty dining charge will apply. When Guests have not cancelled a dining reservation at Palo at least 24 hours prior to the reservation or do not arrive at the restaurant to honor their reservation, the reservation is considered confirmed and 100% of the per person cost is applied to the Guests' folio. To preserve the elegant ambiance of this restaurant, you are asked to adhere to a dress code when dining at Palo. We recommend dress pants or slacks and a collared shirt for men, and a dress, skirt or pants and a blouse for women. Jeans may also be worn if in good condition (no holes). Please no tank tops, swimsuits, swimsuit cover-ups, shorts, hats, cut-offs, torn clothing, t-shirts with offensive language and/or graphics, flip-flops or tennis shoes. Dining at Remy is like being transported to an authentic fine-dining restaurant in the City of Lights. The well-appointed dining room is softly lit and designed in a timeless Art Nouveau style featuring soft greens, rich reds and gold tones. Graceful, sinuous lines adorn the chairs, glass carvings and wall etchings, as sweeping floral and leaf designs embellish the carpet and lighting. Adding to the sophisticated ambience, tables are set with Frette linens, Riedel glassware, Christofle silverware and china created exclusively for the restaurant. For an added dollop of Disney magic, Remy—the character from the hit Disney·Pixar film Ratatouille—appears in artful ways throughout the restaurant's design. You can opt to dine in a luxurious glass-enclosed room with marble flooring amid more than 900 bottles of wine, including both Old World and New World wines. Reservations are required and can be made online or onboard the ship. When dining at Remy, Guests will skip the regularly scheduled Main Dining restaurant. Please note that this premium dining experience is available at a fee and is not included in the price of your cruise. Once dinner is booked and you have boarded the ship, you are invited to meet with a sommelier in Remy's wine room to pre-select your wines for the evening. Please note, wine pairings can be added at an extra charge. When Guests have not canceled a dining reservation at Remy at least 24 hours prior to the reservation or do not arrive at the restaurant to honor the reservation, the reservation is considered confirmed and 100% of the per person cost is applied to the Guests' folio. To preserve the elegant atmosphere, you are asked to adhere to a strict dress code when dining at Remy. Men: Dress pants and a shirt are required for men. A jacket is optional. Please no jeans, shorts, capri pants, sandals, flip-flops or tennis shoes. Women: A dress or pantsuit is required. Please no jeans, shorts, capri pants, sandals, flip-flops or tennis shoes.